This is Kiran. I am a graduate in Electrical Engineering and Indian Green Building Council Accredited Professional currently working as a Green Building Consultant. In the past, I worked as a Project Engineer and have good knowledge in the fields of electrical design and commissioning of bulk weighing systems and substations and plant electrification. My other interests include pencil drawing and photography (yet to learn). I am a civil engineer working in the construction industry for over 3 years. i would to know after clearing the IGBC AP exam what are the jobs that i can apply. 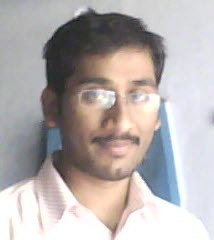 myself sameer from mumbai, doing drftsman job in facade industry. i want do the green building certification. did it available in mumbai? and what is eligibility criteria for certification.